I'm so happy to have Croatia back in the contest! I hope they will remember how much they enjoyed competing back in the day and stick around forever this time. Not entirely sure that is the scenario we are going to see played out, unfortunately. They picked a really nice vocalist and a really nice little song that compliment each other well. I like it every time I hear it. And every time it ends I forget it really quickly too. In this line-up, bursting full with pleasant songs engineered to suit the airwaves, competition between songs of this brand will be fierce. And I seriously doubt being nice is good enough to keep you in. No. Maybe there won't be much of a margin, but I fear Nina will end on the wrong side of the relegation line. 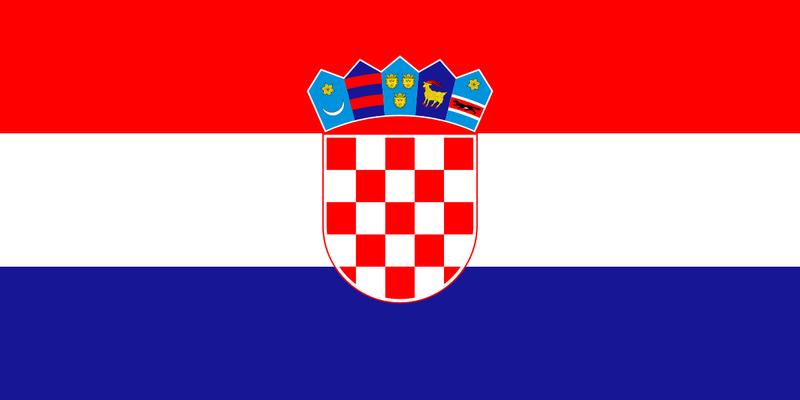 Let's hope Croatia hangs in there regardless of this. That is insanely ballsy calling one of the contest favourites a non-qualifier. Not sure how you can justify that. I mean, this stands out a mile. Powerful song and great, unique voice. The question isn't "will this qualify?" It's "Will this win?" Won't know that until rehearsals. I just don't see what in this is going to break out to a large audience that never heard it before and that largely ignores who is a pre-favourite or not. It is nice but comes very early in the running. Who is it going to stand out for at the end of all songs? And Nina is yet to impress - she didn't quite nail any of her public performances so far. Her voice in the studio version is so autotuned that it makes me wonder how she will survive on live stage without such gimmicks.